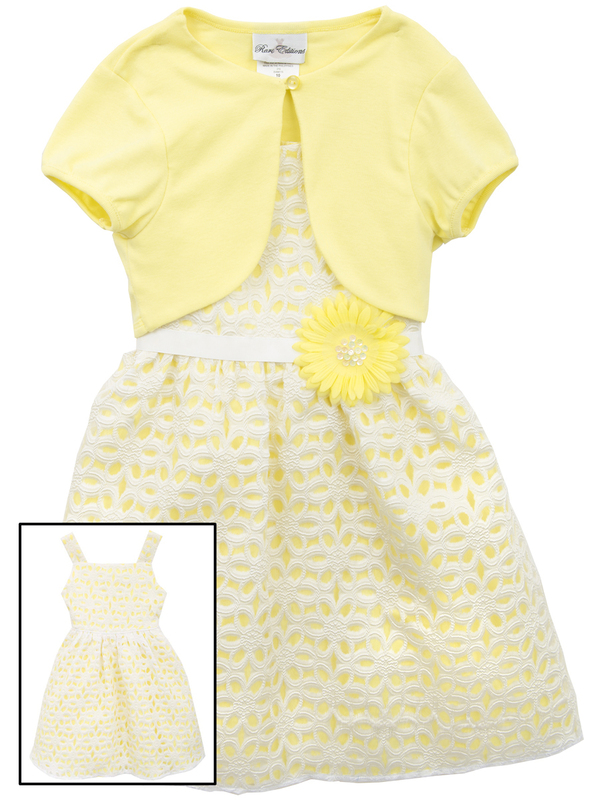 Rare Editions Girls Yellow Daisy Cardigan Dress is perfect for Easter or any special occasion. Adorable sleeveless dress in sunny yellow jacquard comes with matching cardigan. Too cute!